WHAT HAPPENS WHEN I DO MY MEATH DRIVING TEST? So you’ve received the date for your driving test….Panic!! But don’t worry we are here to help you out, you’ve come so far on this journey to get your licence there is only one more hurdle you need to clear! At this stage the RSA School of Motoring advise that you take some pretest lessons. These lessons basically teach you how to pass the test, calm your nerves and give you an idea of what test route you could be taken on. This really is invaluable information. You can even take a pretest lesson before your test, it is a know fact that this helps calm your nerves and you can brush up on everything you are worried about. This means you can walk into the test with a lot more ease and a clearer mind. The RSA School of Motoring also provide a service for students to hire one of our cars for the test in case you don't have a car of your own. One less thing for you to worry about! Before we run through the basic outline of a driving test which will give you more of an idea what to expect and get you prepared. Please have a lot at our testimonials of successful students who passed their test after taking our pretest lessons. They really speak for themselves! Ensure you arrive at the test center at least 15 minutes before the test starts. Wait in the waiting room until your name has been called by the tester. You will then be brought into a room and sat opposite the tester. 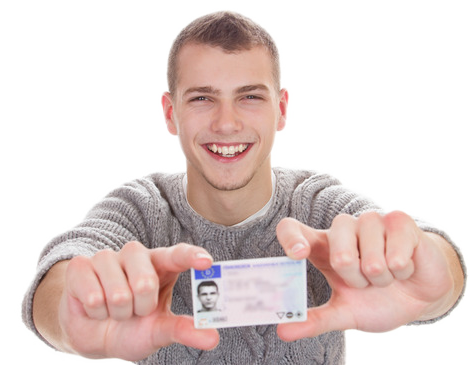 The tester will begin by asking some administrative questions followed by checking and verifying your learner permit. The tester will then tell you that they will ask you a series of questions on the rules of the road and road signs. The tester will ask 8-12 questions on the rules of the road and again for road signs. It is vital that you have studied both these topics. When you complete answering the questions the tester will suggest to make your way to the car to begin stage 2 of the test. When you reach the car the tester will inspect the windscreen, tire thread depth and check for valid insurance, NCT and tax. How would you test the levels of oil in the engine? After you answer this series of questions the tester will tell you to close the bonnet and turn on the ignition of the car. You will then proceed to turn on lights and indicators as requested by the tester. The tester is checking that all bulbs are working properly. After this the tester will sit in the car. You will now begin stage 3. Where are the hazard warning lights located? Where is the rear windscreen demister? How do you turn on dipped lights and full lights? How do you use the windscreen wipers? How do you put water on the windscreen? How do you clear the windscreen in the event that it is fogged up or there is condensation on it? Where are the fog lights locates? With the car started, the tester will now inform you to drive in the direction they have requested. You will now begin stage 4. At this stage the tester needs you to demonstrate your theory knowledge along the route that they have chosen. All routes are equal in difficulty so it is down to you to prove yourself and show that you are a competent driver. Remember to obey road signs and be considerate towards your fellow motorists. The examiner is looking for a well rounded driver. You need to remain calm and collected throughout the test and show the examiner that you can handle anything that may happen while driving. The tester will calmly instruct you where to go and when to go left or right etc..
During the test the tester is looking for you demonstrate certain driving skills as listed above. If you make a mistake the tester will grade you on that mistake, Grade 1 is a minor fault, Grade 2 is a more serious fault and a grade 3 is a dangerous or potentially dangerous fault. Your goal to to reduce the amount of faults you get which will guarantee that you pass the test. This is everything you need to know to pass the test! With the RSA School of Motoring we will teach you all this and more. Book with us today and let us help you pass the test! !